As fall moves in, Smallmouth anglers across the USA are gearing up to catch big smallies on various jigs. So we wanted to show you How to Tie a Peanut Head Smallmouth Jig so you can take advantage of this great bait. 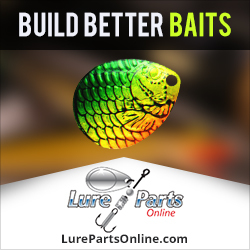 It’s well known that smallmouth typically prefer very specific kinds of baits. This is also true when it comes to jigs. And when you tie your own jigs, it gives you even more versatility when it comes to creating that perfect jig that’s just what the smallies in your home lake will devour. These jigs have a smaller profile than typical jigs used for largemouth bass. They also use colors that are a bit different. And because many smallmouths inhabit areas with few or no weeds, you don’t even need to worry about a weed guard or brush guard on them. The cool part is that this jig is actually built on a head designed for Walleye. But because jigs are versatile, this one has been tweaked to appeal to smallies. A small wire bait keeper has also been added to hold soft plastic trailers in place, without having to glue them on. The video below will show you exactly what you need and will walk you through the entire process, showing you How to Tie a Peanut Head Smallmouth Jig. 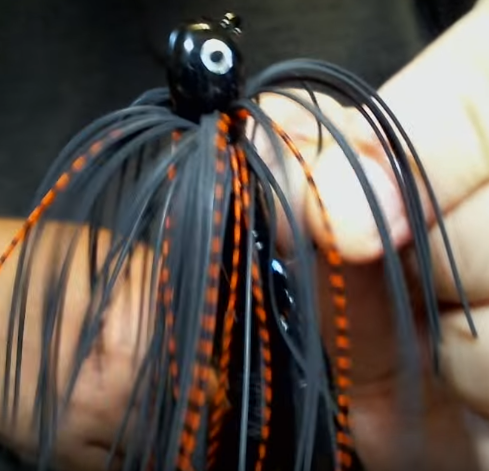 Remember that the colors used in this video can be changed up to create the jig you think will work best on the lakes in your area. If you’d like to learn how to wire tie a Jig skirt, click here. This entry was posted in Making Your Own Jigs and tagged hand tie jigs for smallmouth bass, Hand tie smallmouth jigs, How to Make a Peanut Head Smallmouth Jig, How to Make a Smallmouth Jig, How to Tie a Peanut Head Smallmouth Jig, How to Tie a Smallmouth Jig, Making a Peanut Head Smallmouth Jig, Tying a Peanut Head Smallmouth Jig on September 14, 2018 by Lure Parts Online.